We’ve now tallied the Fall 2019 model bookings from London, Milan and Paris Fashion Weeks and, thanks to European designers’ predictably conservative casting practices, the fluctuations we observed in New York held. Between this season and last, transgender and non-binary model appearances declined, as did plus-size castings. Models over the age of 50 grew in popularity and, overall, racial representation increased incrementally (though not in London). See the details below. Good news on the racial diversity front: the Fall 2019 runways featured more models of color than ever before. After surveying 221 shows and 7,300 model appearances, we found that 38.8 percent (about two in every five) of the models cast in New York, London, Milan and Paris were nonwhite. 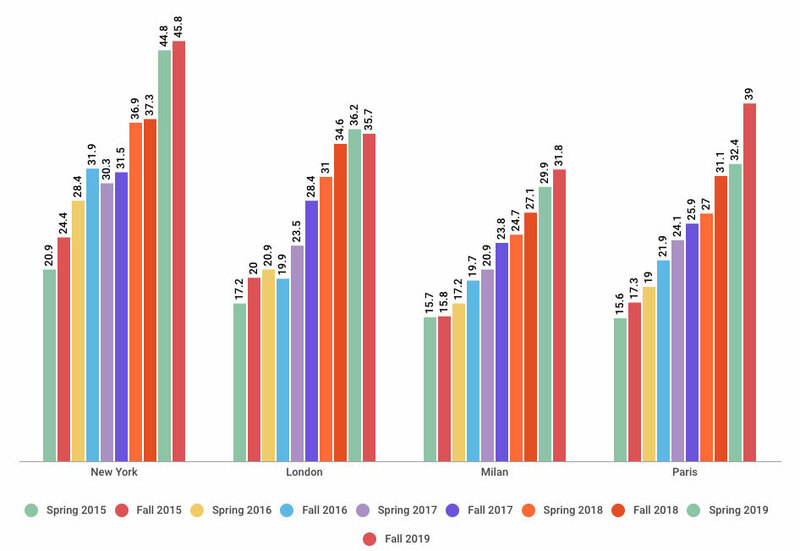 That’s not only a significant — 2.7 point — increase from Spring 2019’s 36.1 percent, it’s more than double the 17 percent we saw in Spring 2015 when we first started tracking racial diversity on the runways. The city hit several milestones. It was the most racially diverse New York Fashion Week on record and the fifth season in a row wherein every show had at least one model of color. Also, nearly one-third (25 out of 77) of show lineups featured 50 percent or more nonwhite models. It almost goes without saying that New York’s impressive racial diversity stats helped raise the global average significantly. Paris came in second in terms of racial diversity, after two straight years of London holding this spot. Paris Fashion Week’s Fall 2019 season featured 39 percent models of color, a major — 6.6 point — increase from the previous season’s 32.4 percent and an all-time high for the city. In London, racial diversity on the runways decreased, but only very slightly. Nonwhite models made up 35.7 percent of runway castings, down 0.5 points from the previous season. Milan, which consistently lags behind the other cities in terms of racial diversity, featured a record 31.8 percent models of color, up 1.9 points from the Spring 2019 season, which had 29.9 percent. Note: This is the first time that the percentage of nonwhite models cast in Milan has exceeded 30 percent. What’s more, nonwhite model castings in Milan and Paris have been on an upward trend since Fall 2016. As in Spring 2019, all but one of the shows we examined featured at least one model of color, the exception (again!) being Milan-based designer Daniela Gregis. 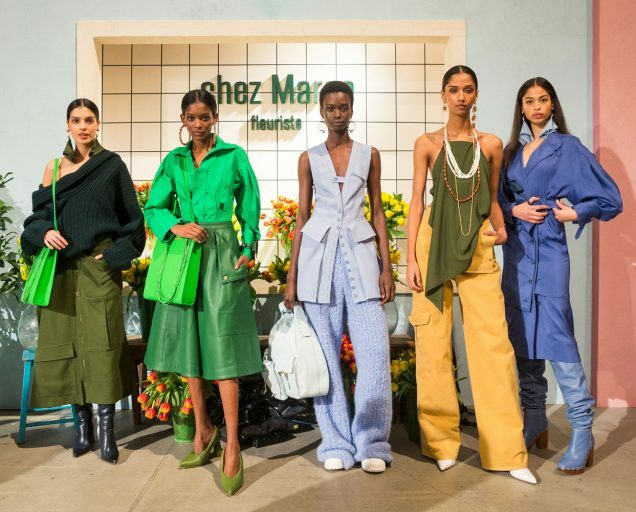 Just a few weeks ago, we were elated to report that nine of the 10 most in-demand models at New York Fashion Week Fall 2019 were women of color. Sadly, once the London, Milan and Paris castings are factored in, the balance shifts radically. Looking at the season as a whole, less than half (four) of Fall 2019’s most-booked models were nonwhite. 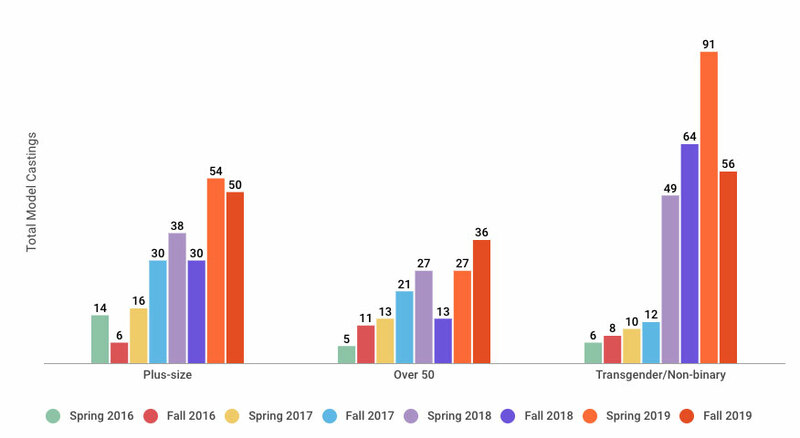 (For comparison, both Spring 2019 and Fall 2018’s lists were 50 percent nonwhite.) Korean model Hyun Ji Shin booked 36 shows, making her the second-most-popular model this season. (Sarah Dahl and Giselle Norman shared the top spot with 37 castings apiece.) Sora Choi, also Korean, came in fifth with 33 runway castings. Chinese model He Cong and Angolan model Blésnya Minher, each of whom appeared in 30 Fall 2019 shows, tied for eighth place. Per usual, gender, size and age diversity were completely absent from the top 11 list. 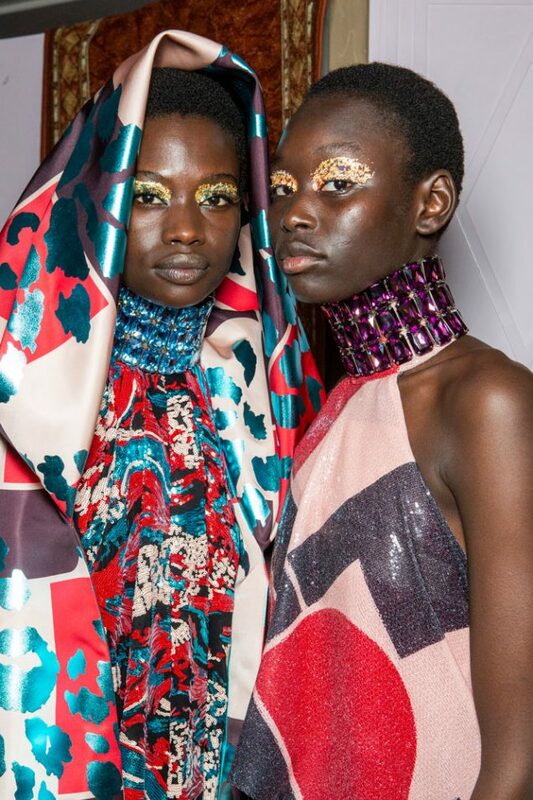 Also, it’s worth noting that South Sudanese model Adut Akech and Dominican model Annibelis Baez just missed the cutoff with 29 shows apiece. This season, casting of plus-size talent regressed, though only slightly. A total of 50 (0.69 percent) plus-size models appeared across 18 Fall 2019 runways, four fewer than in Spring 2019 when 54 (0.73 percent) walked in 15 shows. That’s the second time in two years that the number of plus-size castings has taken a dip: between Spring 2018 and Fall 2018 the number of non-straight-size runway models fell from 38 (0.46 percent) to 30 (0.39 percent). Despite the backslide — and the fact that the group is still egregiously underrepresented — Fall 2019 did have the second-largest number of non-straight-size castings we’ve seen to date. (Last season’s 54 castings was the most on record.) For reference, when we first began tracking size inclusivity on the runways in September 2015, 14 non-straight-size models walked in New York, none in Europe. On a positive note, several of the New York brands that did prioritize size inclusion likewise made sure to cast models that fit multiple diversity criteria. More than two-thirds (25) of New York’s 37 plus-size model appearances went to women of color, one to a plus-size woman over the age of 50 (Emme at Chromat), one to a transgender plus-size model (Jari Jones at Gypsy Sport). Furthermore, it was the first season in recent memory that a transgender plus-size model walked in New York — or at all. Of the European shows we examined, only six featured any sort of size diversity. 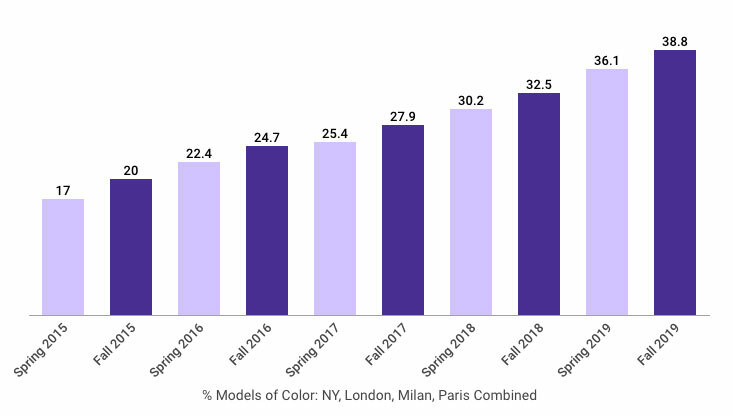 For Fall 2019, Paris, which had one non-straight-size model appearance in Spring 2019 and only three the season prior, had the most castings in this category of any European city (nine, an all-time high). That said, American fashion titan Tommy Hilfiger and 22-year-old actress, singer and model Zendaya — in town for one season to fête their 70s-inspired Spring 2019 TommyNow collection — were responsible for all but two of these appearances. Tommy x Zendaya’s cast featured seven plus-size models: Chloé Véro, Marquita Pring, Nyawal Tut, Olivia Golden, Precious Lee, Yvonne Simone and Shadia. As for the two remaining plus-size castings, Jill Kortleve took a second turn at Alexander McQueen and Marte Boneschansker made her Mugler debut. Clearly, the spike in plus-size castings is no indication that the Paris runways are actually making strides toward body diversity. 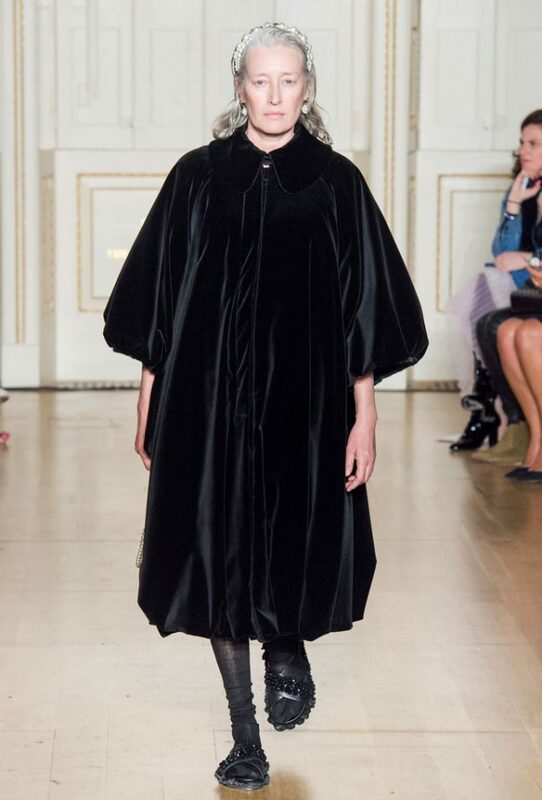 One could argue that London Fashion Week, known for challenging the status quo yet routinely excluding plus-size models — its Spring 2019 season saw one non-straight-size model casting, Spring 2018 two, the rest zero — in fact, had more organic plus-size castings (four, a record for the city) than any other European city. Two plus-size models — Daniel Lismore and Emma Breschi — walked at Vivienne Westwood (she’s one of the few British designers to feature plus-size models semi­-habitually), one at Molly Goddard, one at Simone Rocha. Still, there is something to be said for the types of brands that hired plus-size models: Rocha and Goddard are both young, It-girl-beloved labels, and hot ticket runway shows mean greater visibility for all who walk in them. Finally, not a single plus-size model walked in Milan. Disappointing, given that the Italian fashion capital had the most plus-size appearances of any city apart from New York last season. That said, Dolce & Gabbana is the only Milan-based designer ever to have hired plus-size runway models (three in Spring 2019, two in Fall 2017) so this season’s shutout is none too surprising. Looking at intersectionality, nine out of 13 plus-size models cast in Europe were nonwhite — but most (seven) of these castings were at Tommy x Zendaya. Predictably, no transgender or over-50 plus-size models were hired outside of New York. Fall 2019 saw an abrupt decline in female transgender and non-binary model appearances. Disappointing, especially coming on the heels of a landmark season for gender inclusivity. In Spring 2019, casting of models who openly identify as transgender or non-binary reached an all-time high with 91 (1.23 percent) models in either category (83 trans women, eight non-binary models) walking in a total of 52 shows. By contrast, Fall 2019 marks the first time since we began tracking gender identity on the runways (in Spring 2016) that the number of trans and non-binary castings has shrunk. This season, only 56 (0.77 percent) openly transgender women and non-binary models walked in all of fashion month. To break it down, 32 transgender women and 24 non-binary models were cast in 41 Fall 2019 shows. That’s 35 castings shy of Spring 2019’s figure and eight short of Fall 2018’s figure. It’s worth noting that, despite these losses, transgender women and non-binary models remain the best-represented diversity category outside of race, as has been the case since Spring 2018. (And that’s no small feat, considering that as recently as September 2015, there were only six openly transgender or non-binary models on the runways.) Not to mention that, season after season, trans and gender nonconforming models tend to land some of the most coveted runway gigs and consistently appear in a wider range of shows than their cisgender over-50 or plus-size peers. Last season, the number of transgender women and non-binary models increased in every city except Milan. For Fall 2019, the reverse was true — after all, Italian designers had the most room for improvement. Still, New York led the way in this category, too. Over half (30) of Fall 2019’s 56 trans and non-binary castings took place stateside, down from 53 last season. (More specifically, 21 trans women and nine non-binary models walked in 17 New York shows.) Paris ranked second for gender inclusivity with 12 castings in this category (five trans women, seven non-binary models, 10 shows), four less than the previous season. After a promising Spring 2019 season that saw 16 trans and non-binary models cast, London’s gender-inclusive castings fell to six (two trans, four non-binary, six shows). 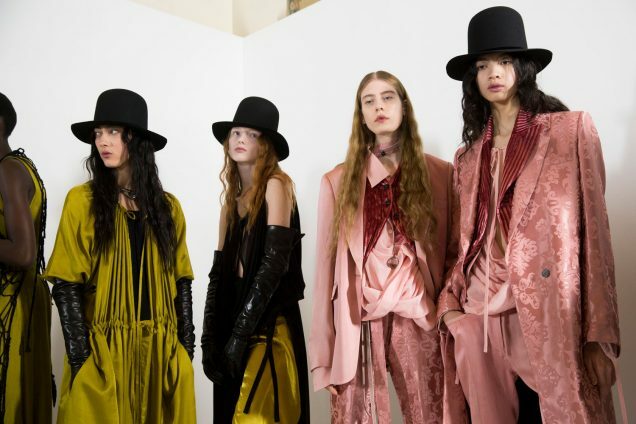 Meanwhile, four trans women and four non-binary models walked in Milan (between eight shows), two more than the prior season and an all-time high for the city. Here’s a troubling observation: overseas brands seemed much more inclined to hire non-binary models than they did transgender women. Of Europe’s 26 gender-inclusive castings, more than half (15) went to the same two non-binary models: Noah Carlos and Finn Buchanan. The former landed eight European runway gigs, the latter seven. So not only did Europe’s trans and non-binary castings dwindle, but those that did occur carried a strong whiff of tokenism. Together, the two accounted for seven of Paris’ 12 gender-inclusive castings. Carlos walked at Maison Margiela, Ann Demeulemeester, Courrèges and Dries Van Noten; Buchanan at Margiela, Demeulemeester and Miu Miu. As for the city’s trans castings, Dustin Muchuvitz modeled for Koché; Teddy Quinlivan for Giambattista Valli, Haider Ackermann and Paco Rabanne. Leyna Bloom, the only transgender woman of color to walk in Paris, took part in Tommy x Zendaya. Similarly, four of London Fashion Week’s six trans and non-binary castings went to Carlos and Buchanan. Preen and Christopher Kane hired Carlos, Fashion East and House of Holland Buchanan. Elsewhere in the city, trans model Gigi Hari and non-binary (nonwhite) model Sebastian Rosemarie turned up at Matty Bovan and Ashley Williams, respectively. And, not to put too fine a point on it, but the duo also made up half of Milan’s castings in this category. Carlos walked at Marni and Missoni, Buchanan at Vivetta and Byblos. GCDS and Moschino hired Quinlivan; Emporio Armani and Arthur Arbesser transgender model Oslo Grace, who also identifies as non-binary. Nonetheless, it’s encouraging that just about half (27) of Fall 2019’s 56 trans and non-binary castings went to models of color (among them Carlos), one to a nonwhite, non-sample-size trans woman (to reiterate: Jari Jones at Gypsy Sport in New York). No designer booked a trans or non-binary model over the age of 50. An aside: on the subject of LGBTQIA+ representation, we’d like to point out that drag performers enjoyed significantly less popularity this season than last, when a total of 25 walked in three shows: Opening Ceremony, The Blonds and Gypsy Sport. 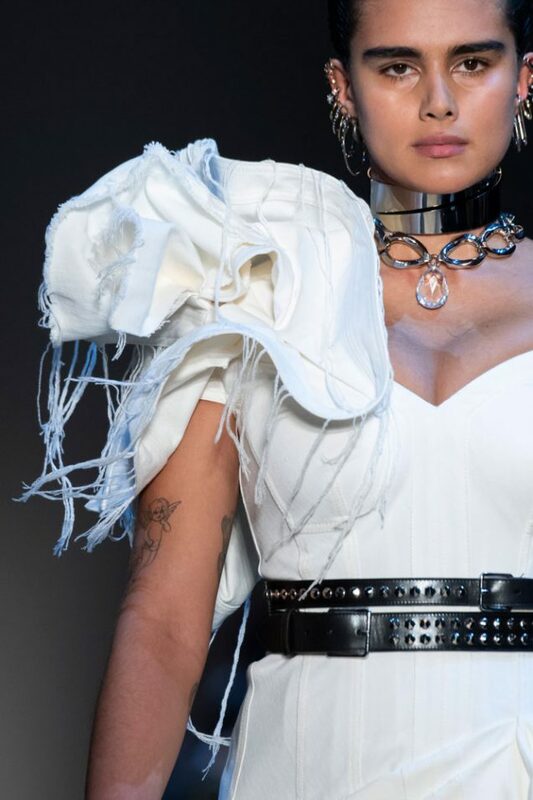 For Fall 2019, Opening Ceremony opted out of New York Fashion Week and between The Blonds and Gypsy Sport, only three drag performers were cast. None walked in Europe. Once again, women age 50 and above were the least represented of all the groups. Such has been the case for the past four seasons (starting in Spring 2018, up to and including Fall 2019). Still, we were correct in projecting that New York’s uptick in over-50 runway castings would extend overseas: this was the only category outside of race to see an improvement and no small one at that. Overall, the Fall 2019 season had 36 (0.49 percent) 50-and-over castings, compared to 27 (0.36 percent) in Spring 2019 and just 13 (0.17 percent) in Fall 2018. Thus, with a nine-model margin between it and Spring 2019, the most recent record-holder, Fall 2019 was by far the most age-diverse season yet. (Spring 2019 and Spring 2018 share second place with 27 over-50 castings each.) None of this is to say that 0.49 percent can be regarded as adequate representation. As historically has often been true, New York was responsible for a large chunk (15) of the season’s 50-and-over castings thanks to 13 designers, some establishment, some new guard. Among the former: Marc Jacobs, Hellessy, Michael Kors Collection, Dennis Basso, Elie Tahari and Naeem Khan; among the latter: Eckhaus Latta, Collina Strada, Creatures of the Wind, Maryam Nassir Zadeh, Chromat, Priscavera and Burnett. Each hired one over-50 model with the exception of Naeem Khan, who brought out the legendary Halstonettes (Pat Cleveland, Karen Bjornson and Alva Chinn). With three models age 50 or above, his was the most age-diverse show of New York Fashion Week. Like last season, European designers were responsible for the majority (21) of the season’s 50-and-over model castings. Paris again came in second, featuring 10 models age 50 and above on its runways, a sharp increase over Spring 2019, which had only three, and Fall 2018, which had none at all. That said, all but one of Paris’ over-50 castings were divided between two shows — Balenciaga and Tommy x Zendaya — so the city’s move toward greater age diversity doesn’t read as especially permanent or baked in. Nevertheless, Fall 2019 was the most age-diverse Paris Fashion Week on record and the same goes for New York. Demna Gvasalia, who just three years ago drew the ire of fashion industry watchdogs when he sent out an all-white Fall 2016 lineup, hired more models in this category than any other designer in any of the four fashion capitals. Five of Balenciaga’s 56 models were age 50 or above, including Britta Dion and Britta Lund (who also walked the brand’s Spring 2019 show) as well as Ursula Wangander and Ye Young Kim. (Note: For those wondering, Balenciaga’s runway was 32 percent nonwhite.) Meanwhile, the runway show for the Tommy x Zendaya capsule included four over-50 supermodels of yesteryear, namely Beverly Johnson, Cleveland, Veronica Webb and the iconic Grace Jones, who closed the show. The city’s remaining over-50 model casting took place at Andreas Kronthaler for Vivienne Westwood, an offshoot of a brand known for its political messaging. In Milan, which last season had the most over-50 model appearances of any city outside of New York — and the most in its history — only six models age 50 or above walked. That’s three less than in Spring 2019, but considerably better than Fall 2018’s two. Italian heritage label Etro, which recently celebrated its 50th anniversary, accounted for half of these castings, hiring model/actresses Tatjana Patitz, Violetta Sanchez and Farida Khelfa. Additionally, Donatella Versace and Daniela Gregis continued their practice of hiring over-50 models (Stephanie Seymour and Benedetta Barzini, respectively). And Cleveland, the season’s most-booked over-50 model, walked at Laura Biagiotti. In terms of age diversity, London fell to the bottom of the pile with five over-50 castings: three at Vivienne Westwood, two at Simone Rocha — both longtime advocates for older model visibility. (Is it a coincidence that both of these designers are women? Probably not.) While five is certainly not an impressive figure, it is preferable to — and a slight improvement on — Spring 2019’s three and Fall 2018’s two. 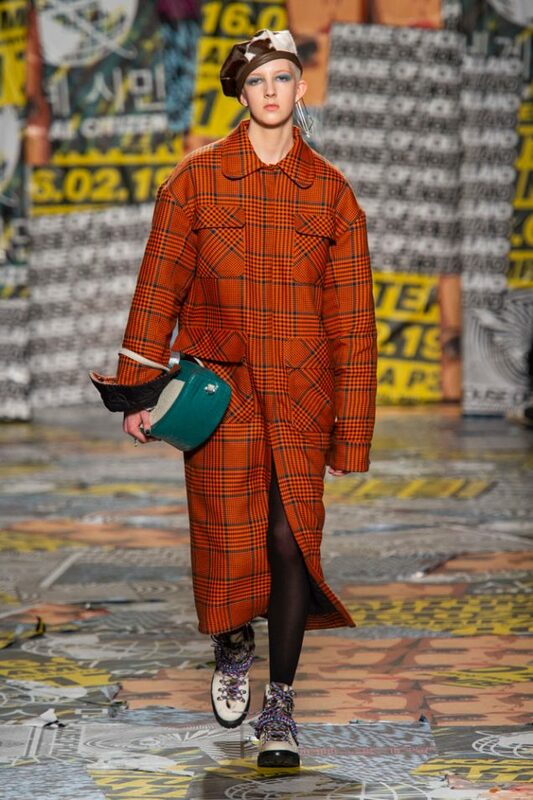 As for the models themselves, Westwood’s lineup featured Gabriela Rickli-Gerster and the designer’s longtime muse Sara Stockbridge; Rocha’s Jeny Howorth and Rocha regular Marie-Sophie Wilson-Carr. When it came to casting over-50 models, few designers seemed to take intersectionality into consideration, although, as mentioned previously, 68-year-old African-American model Cleveland did land more runway appearances (four) than any of her over-50 peers. Of New York’s 15 over-50 castings, only three went to women of color and of Europe’s 21, only seven did (five of them in Paris at Tommy x Zendaya). So 10 of the season’s 36 castings in this age group went to nonwhite women. What’s more, Chromat was — yet again — the sole brand to hire a plus-size woman over the age of 50 (Emme) and transgender and non-binary models over age 50 were, unsurprisingly, overlooked completely. Of the 221 shows we surveyed, only one featured zero models of color: Milan’s Daniela Gregis — for the third season running. Puzzling, given that Gregis is one of the few European designers to consistently prioritize age inclusivity. Of course, there were plenty of other brands that didn’t do enough to adequately represent minorities. The remainder of Milan’s (embarrassingly long) list of underachievers reads as follows: Alberto Zambelli (5 percent models of color), Genny (5 percent), Antonio Marras (10 percent), Blumarine (10 percent), Cividini (13 percent) and Elisabetta Franchi (13 percent). In London, body- and age-diversity advocate Vivienne Westwood hired just 4 nonwhite models out of 22 (18 percent), Bora Aksu 4 out of 21 (19 percent). 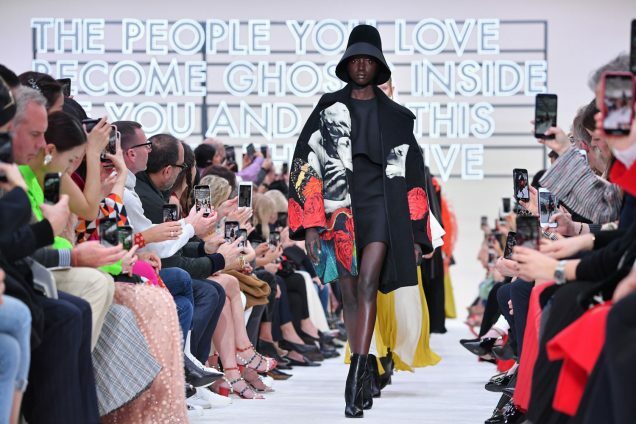 Unfortunately, two highly influential Paris shows featured less than 20 percent models of color, namely Junya Watanabe (7 percent) and Chanel (18 percent) — a black mark on Karl Lagerfeld’s otherwise moving sendoff. Both brands are repeat offenders. Even New York, where nearly one-third of the shows we examined featured at least 50 percent models of color, had some slackers: Son Jung Wan, Zadig & Voltaire and Vivienne Hu each cast 1 out of 16 (6 percent), 4 out of 36 (11 percent) and 2 out of 17 (12 percent) models of color, respectively. On a happier note, the top 10 shows in terms of racial diversity were, in descending order: Tommy x Zendaya (98 percent models of color), Claudia Li (96 percent models of color), Gypsy Sport (94 percent models of color), Chromat (90 percent models of color), LaQuan Smith (78.3 percent models of color), Cushnie (74 percent models of color), Hellessy (72 percent models of color), Prabal Gurung (71 percent models of color), Halpern (70 percent models of color) and Byblos (70 percent models of color). As is often the case, of the 10 shows with the most racially diverse casts, the majority (seven) came from New York, where, again, 25 of the 77 shows we examined featured casts that were at least 50 percent nonwhite. (Read that exhaustive list here.) Three European shows did make the cut: London’s Halpern and Milan’s Byblos, which tied for last place, and Paris’ Tommy x Zendaya, which came out on top. That said, these weren’t the only European shows worthy of recognition. In London, Pringle of Scotland cast 55 percent models of color, Roland Mouret and Ashish 54 percent, Natasha Zinko 50 percent. Milan had its standouts, too, namely GCDS (59 percent models of color), Emilio Pucci (56 percent models of color), Roberto Cavalli (55 percent models of color) and Bottega Veneta (52 percent models of color). Meanwhile, Parisian shows like Jacquemus (67.9 percent models of color), Lanvin (64.4 percent models of color) and Andrew Gn (60 percent models of color) helped offset Junya Watanabe and Chanel’s failings. Note that Pucci, Cavalli and Jacquemus regularly prioritize racial representation. Lastly, we must acknowledge the reality that, were it not for shows like Tommy x Zendaya, Gypsy Sport, Chromat, Christian Siriano, Prabal Gurung, Eckhaus Latta, Burnett, Simone Rocha and Balenciaga, Fall 2019’s runway diversity counts would be much different. Hands down, the runway for the Tommy x Zendaya capsule collection featured better across-the-board diversity than any other show this season. Inspired by the 1973 “Battle of Versailles” fashion show, the event featured almost all nonwhite models, one of them transgender, four over the age of 50, seven above a size 10. We’d expect no less from Zendaya, an outspoken activist for the Black Lives Matter movement and racial representation in pop culture. In addition to being 94 percent nonwhite, Gypsy Sport had the most gender-inclusive lineup of the season (six trans women, two non-binary models), not to mention one of the most size-diverse. (The show also featured one breast cancer survivor, two drag performers and one expectant mother.) 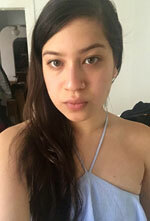 And we have Rio Uribe to thank for the season’s only trans plus-size casting. Inclusion is ingrained in Chromat’s DNA: season after season, it remains one of the brightest spots of the month diversity-wise. For Fall 2019, Becca McCharen-Tran hired 90 percent models of color, nine non-straight-size models and four trans and/or non-binary models, making hers the fourth-most racially diverse show of the month and among the most gender- and size-inclusive. McCharen-Tran also took intersectionality and ability into consideration, casting over-50 plus-size model Emme and model, breast cancer survivor and amputee Mama Cax. In addition to hiring 63 percent models of color, Christian Siriano contributed over a quarter (10) of the season’s plus-size castings, the most of any New York designer. New York Fashion Week newcomer Emily Burnett cast 42 percent models of color, two non-straight-size models, one transgender model and one model over the age of 50; Manhattan mainstay Prabal Gurung cast 71 percent models of color, two non-straight-size models and one transgender model. Eckhaus Latta, though not especially ethnically diverse (39 percent models of color), did feature one over-50 model, two trans and/or non-binary models and one non-straight-size model (of color). Similarly, while only 30 percent nonwhite, Simone Rocha was one of the few European shows to feature both age and size diversity with one non-straight-size and two over-50 castings. 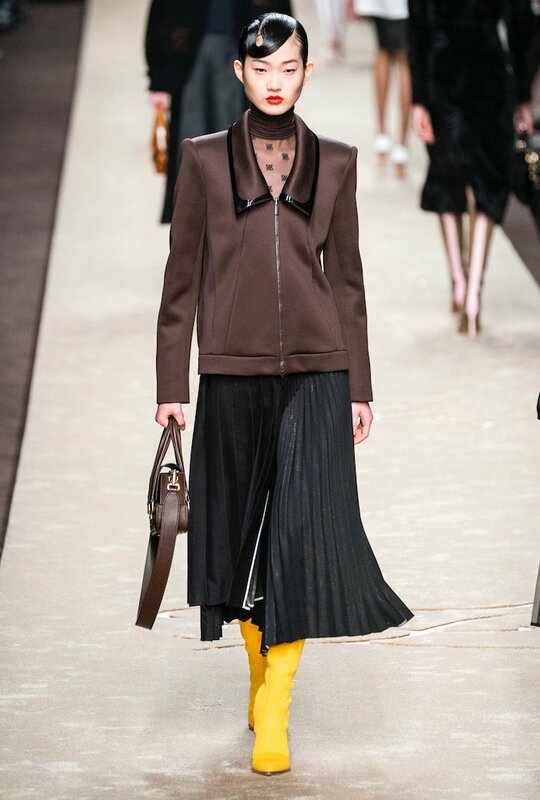 And coming off a strong Spring 2019 season wherein two over-50 women, one trans model and one transvestite walked its runway, Balenciaga had more over-50 models than any other Fall 2019 show, period. We’ve said it before, we’ll say it again: the runways still have a long way to go toward becoming inclusive, especially in Europe. Tommy x Zendaya, Simone Rocha, Balenciaga, et al. aside, we grow weary of New York Fashion Week’s castings holding disproportionate sway over the season’s diversity stats. We’ve just closed the curtain on the final season of the 2010s — what better time than now for (European) designers to let go of their traditionalism, shake things up? Until they do, we’ll continue to see these seasonal ebbs and flows in the tide of inclusion. Only women and non-binary models are included in this data. Models of color are categorized as those who are nonwhite or of mixed backgrounds. Spring 2019 collections that showed during the Fall 2019 season are included in this report.